This simple but striking design of black chalkboard background with a floral element can suit most themes. The colour schemes of the flowers can easily be adapted to work with your chosen colours of your special day. Double sided A6 invitation with guest information or A6 gate fold. 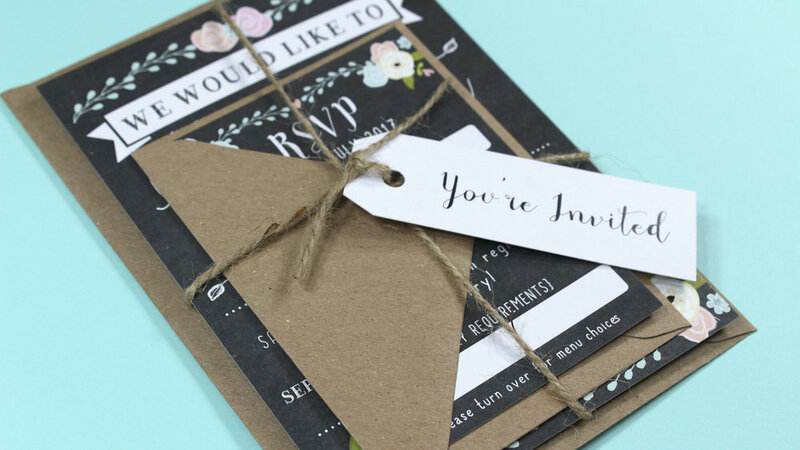 A7 RSVP flat card. Straw flags & other On the Day items available. Printed on 350gsm smooth white card. Twine and a tag. Placed in a brown kraft envelope.